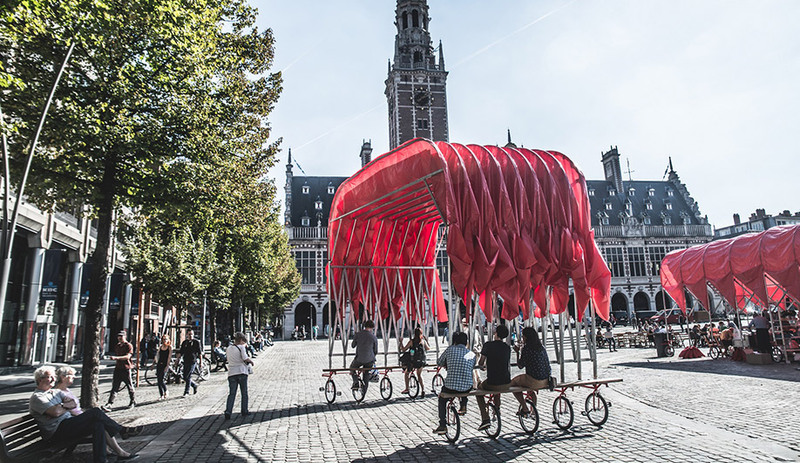 Nothing short of brilliant, People’s Canopy is an ultra flexible, ultra portable piece of infrastructure that transforms any public space into one for gathering. Public spaces are hard to get right. Lots of cities provide them, but seldom do they become the magnetic gathering places they were intended to be. Enter the People’s Canopy, an expandable stretch of cloth on wheels. 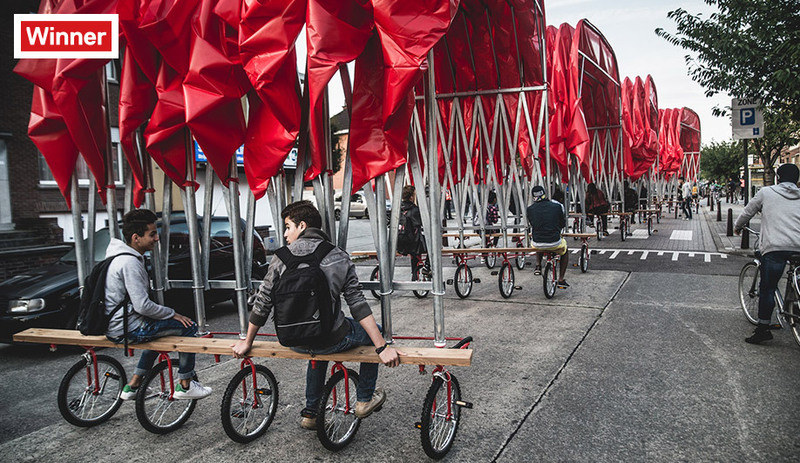 Accommodating up to 10 cyclists, the device rolls through streets to a desired location and unfurls to create an instant marketplace, event tent or sun shelter for just hanging out. 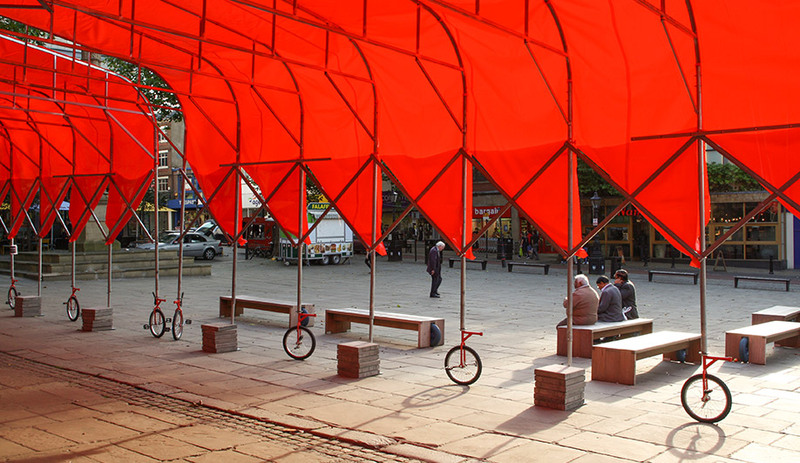 At 10 metres wide, and unfolding to a length of 12 metres, its red parasol consists of little more than PVC fabric and a crank set. Turning the traditional canopy into a participatory affair, the People’s Canopy is part tent, part parade, and nothing short of brilliant. The project is the result of a collaboration between Beijing’s People’s Architecture Office (PAO) and In Certain Places (ICP), an arts program for urban interventions and events in the city of Preston, U.K. In Preston, as in so many of the world’s cities, urban sprawl and shopping malls have turned the once-populated streets and public venues into vacant thoroughfares and empty lots. 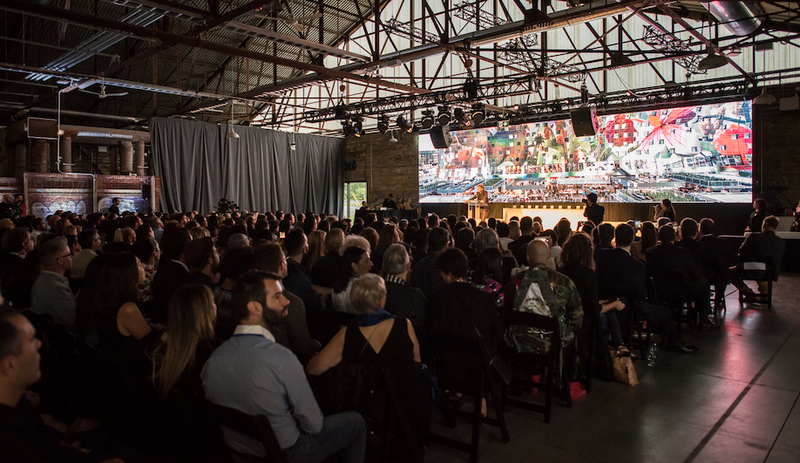 By working with PAO to design, create and import over a dozen canopies, ICP was able to mobilize the community – literally – and reinvigorate the city’s declining historic centre. Since then, the canopies have been featured as part of various exhibits worldwide, including the 2015 Bi-City Biennale of Urbanism/Architecture in Hong Kong’s Kowloon Park. Inexpensive and easy to set up, the People’s Canopy is a singularly clever social intervention that allows organizations to test programs in different locations without heavy investment. 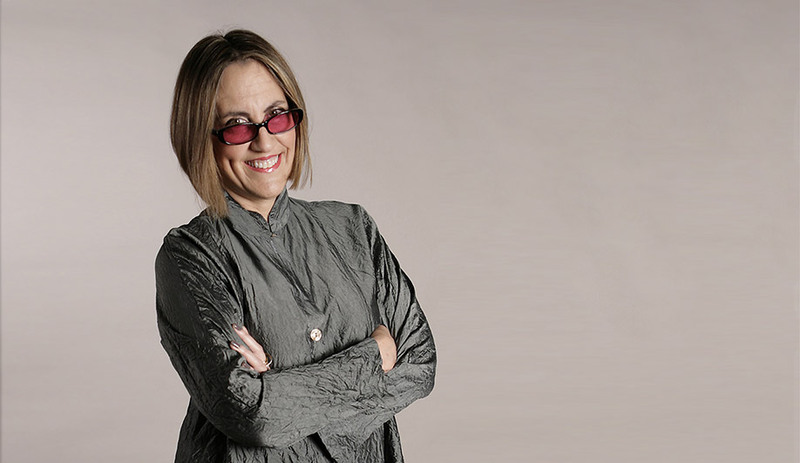 PAO calls its invention “flexible infrastructure.” We call it genius.